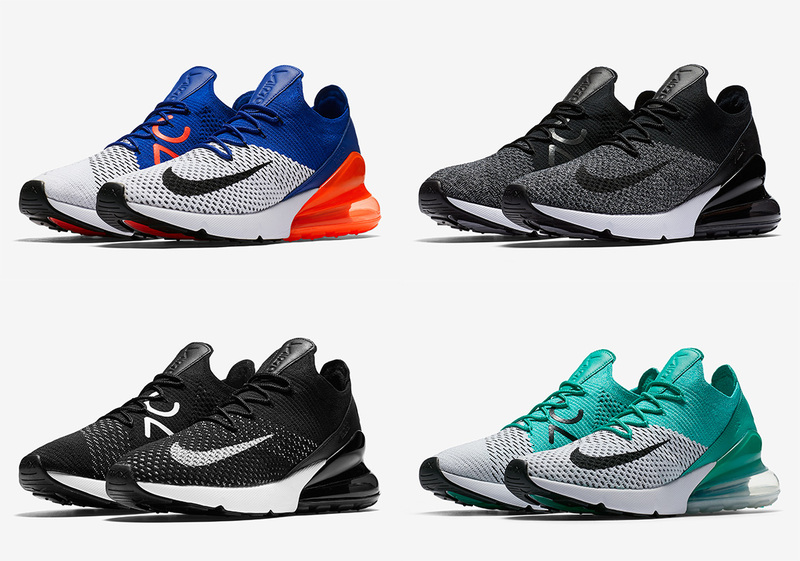 In the beginning of this week, we introduced you to the Air Max 270 with Flyknit-infused uppers. At that time, only one photo of the blue and orange pair you see here was available, but now official images of all four products have surfaced. Nike is treating men and women equally, with two iterations for both genders, including a simplistic black and white pair as well as a brightly colored option. All four of these offerings are slated to arrive at Nike Sportswear retailers on March 22nd, but in the meantime you can enjoy an official look below.